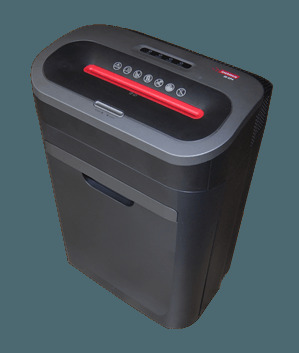 007SE - High Security 0.7 x 9.5mm Cross Cut Paper Shredding Machine 14 Sheet Capability. CPNI & DIPCOG approved. Optional integrated oiler. Manual start/stop with multi-function button. 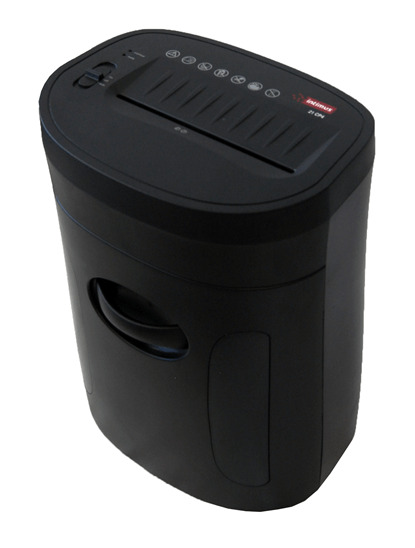 Automatic start/stop with light barrier and electronics equipped with microcontroller Auto-reverse and reverse key for quick elimination of paper overloads Warning lights for standby, basket full, door open and paper jam Mobile, sealed, dust-free cabinet Optional automatic oiler. 2 year warranty. 175 litre bin.